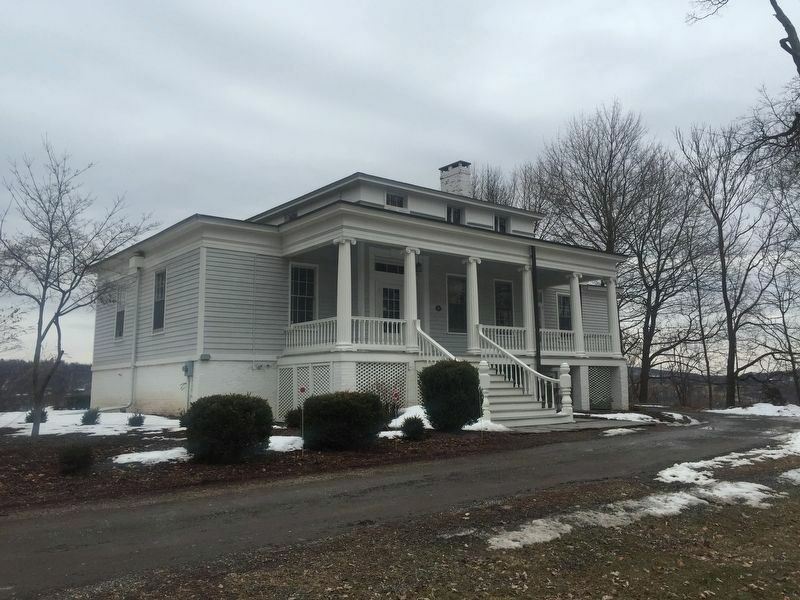 James Powers (1782-1868) was a life-long resident of the Village of Catskill, where he lived as a prosperous lawyer, land developer, and gentleman farmer. He served as eighth president of the village and as state senator (1836-39). His father-in-law, Orrin Day, was the first president of the village. From his father-in-law, Powers purchased a tract of land which ranged from approximately present-day Broad Street to the Hudson River, bounded by Harrison and William Streets. By 1839 Powers had built his Greek Revival house overlooking the river. The structure is derived from plans by Minard Lefever, whose pattern books were widely circulated and used by local carpenters as building guides. Lefever was praised as one of America's finest architects by Calvert Vaux, the architect whose work includes New York City's Central Park, and who collaborated with the artist Frederick Church for designs at Olana - directly across the river from Beattie-Powers Place. Location. 42° 13.114′ N, 73° 51.484′ W. Marker is in Catskill, New York, in Greene County. Marker can be reached from Powers Place. Touch for map. Marker is in this post office area: Catskill NY 12414, United States of America. Touch for directions. Other nearby markers. At least 8 other markers are within walking distance of this marker. The World War (approx. 0.3 miles away); Burns-Curran Maintenance Facility (approx. 0.4 miles away); Hop-O-Nose (approx. half a mile away); Uncle Sam Bridge (approx. half a mile away); Stone House (approx. half a mile away); Uncle Sam (approx. half a mile away); Martin Van Buren (approx. 0.6 miles away); Wanatonka Island (approx. 0.7 miles away). 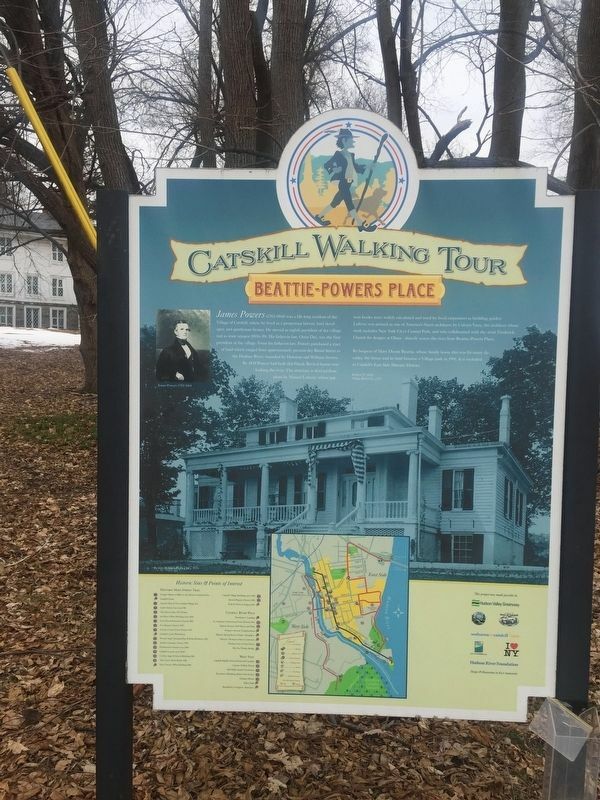 Touch for a list and map of all markers in Catskill. More. 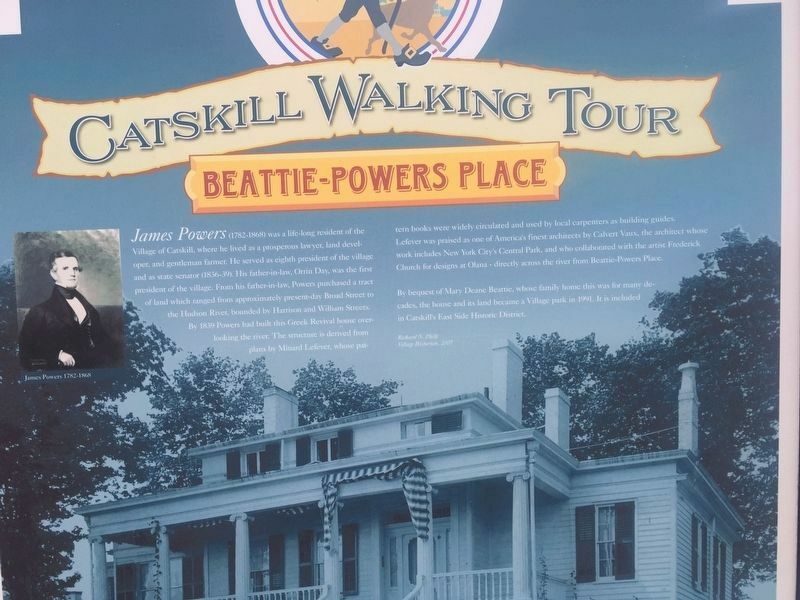 Search the internet for Catskill Walking Tour. Credits. This page was last revised on March 6, 2019. This page originally submitted on March 3, 2019, by Steve Stoessel of Niskayuna, New York. This page has been viewed 25 times since then. Photos: 1. submitted on March 3, 2019, by Steve Stoessel of Niskayuna, New York. 2, 3. submitted on March 4, 2019, by Steve Stoessel of Niskayuna, New York. • Bill Pfingsten was the editor who published this page.